As we head into the first few weeks of 2019, perhaps it’s time you considered whether your current approach to social media is cutting the mustard. But where do you even start when it comes to knowing if you are doing it right or wrong? According to the 2018 Yellow Social Media Report, 40% of internet users say they follow their favourite brands on social media, and a quarter of people are following brands that they are thinking of making a purchase from. Hence, getting on top of your media marketing strategy for 2019 is a must. If you aren’t getting engagement on your posts then you really need to look at why you are on social media in the first place, after all this is a social platform designed to connect with people and create conversations. Calculate your engagement rate to give you a picture of how much engagement you are receiving. Your engagement rate is the percentage of engagements you receive on your posts based on the number of people who have seen your posts. An engagement is usually defined as a like, comment, share or post-click. Some like to calculate their engagement rate based on followers rather than reach, but we find this isn’t an accurate portrayal of engagement as your posts will reach people who don’t necessarily follow you (here’s hoping!). You can obtain your reach and post engagement numbers from Facebook Insights, Instagram Insights or many third-party reporting tools. Benchmarks vary for both Instagram and Facebook however typically our clients receive around 10 – 25% engagement rate on Facebook and between 2 – 10% on Instagram. Tracking your engagement on your socials will allow you to monitor whether your social media performance has been successful, however, keep in mind engagement doesn’t necessarily translate into ROI. If you are struggling to build engagement, the first place to start when troubleshooting is to check your reach is on track. It could simply be a case that you aren’t receiving any engagement because not enough people are seeing your posts! 3. Are your posts representing your brand well? 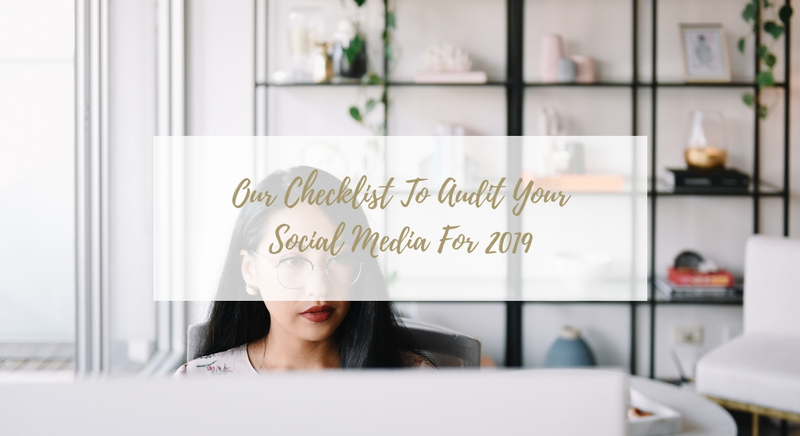 The next thing you need to assess when it comes to your social media audit is whether your social media platforms represent your brand well. Looking polished and professional on social media is just as important as on your print marketing or website – in fact, you may have more eyeballs on your social channels! Unanswered negative reviews, out of date content, off-brand graphics, low-quality images and are all common mistakes that don’t paint a picture of a slick operation. After you have audited your socials for the past year, understood what worked and what didn’t, you can then use this information to plan an effective social media marketing strategy for the future. If this all sounds like a lot of work, well we are here to tell you… it is. But if all else fails you could begin working on infiltrating the Kardashian family. This is a fail-proof way to win not just on social media, but in life; depending on how you look at it. Chronicle Republic Communications is a boutique Sydney marketing consultancy for real estate, property and interiors professionals. We specialise in social media, content marketing, email marketing, blogging, search engine optimisation, social media advertising and much more! If you are looking for social media for real estate, property or interior design our digital marketing experts can help you bring your brand’s story to life. Join our email list now to get digital marketing tips straight to your inbox. Chronicle Republic is a boutique digital marketing agency for real estate agencies, property and interior design professionals. We help our clients bring their brands to life through social media, content marketing, blogging, email marketing, social media advertising and more.